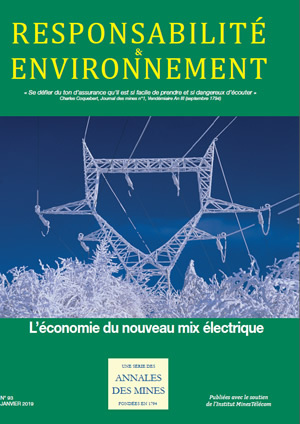 Publication of the article “The price of carbon, a factor in the electricity transition” by Christian de Perthuis and Boris Solier in Responsabilité & Environnement, a series of Annales des Mines (N° 93 – January 2019 – The economics of the new electricity mix). Given the malfunction of the European carbon market and the absence of coordination with policies for subsidizing renewables, setting the price of carbon has had a limited impact on the electricity transition, which is mainly switching power plants from fossil fuels to natural gas. The reforms in the electricity industry are examined that are needed to accelerate the transition by reducing the (now excessive) subsidies for renewables. The pricing of carbon in Europe should be broadened to converge toward a minimum price. At the same time, price subsidies for renewables should be dismantled, and public funds should be redistributed to three drastically underfunded priorities: public research, support for restructuring industries, and the fight against energy poverty.